Has your Hot Water System gone cold? It could be a faulty or blown hot water Element. Is your Hot Water Tank leaking from the overflow pipe? It may need a new pressure or temperature relief valve. Is your Hot Water System not as hot as it usually is? It could be a worn out Tempering Valve or Thermostat problem. 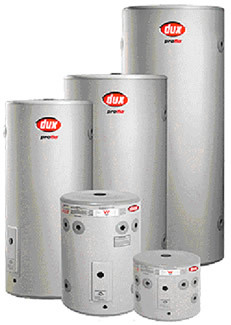 Is your Hot Water Heater leaking water at the bottom of the tank? Are one of the valves or joints in the pipework leaking around the system. Is there rusty water leaking from the electrical cover at the bottom of the system? It could be the element is leaking otherwise the tank has burst & will need replacing. We have over 40 years experience in installing & repairing hot water systems. new installations on gas, electric, heat pump and solar hot water systems. We are a preferred repairer for several hot water manufacturers. We know how important it is for you. That we carry out the work on time. We accept payment by VISA, MasterCard, Cheque, Direct Deposit or Cash. 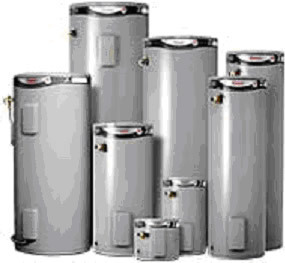 Our service vehicles are fully equipped to repair or replace hot water elements and thermostats to all major brand Hot Water Systems, Hot Water Heaters, Hot Water Tanks and Hot Water Units including brands like Rheem - Vulcan - Dux - Aquamax - Saxon - Quantum - Zip Boiling Water - Beasley - Supakwik and more. Best of all we guarantee quality service at competitive prices. Turn to us for free advice and quotations and receive prompt attention from our experienced and qualified staff.